Data-driven decision-making is driving J.C. Penney’s latest brand transformation. In the rapidly evolving retail sector, only the strongest will survive. E-commerce continues to siphon foot traffic from brick-and-mortar stores, forcing former bastions of the industry to face their mortality. In the United Kingdom, for example, British brand Jaeger is on the brink of collapse, falling into administration after failing to find a buyer, while department store Marks & Spencer announced it plans to close 30 of its outlets. In Australia, the owners of retailers Marcs and David Lawrence went into voluntary administration, announcing the closure of 13 Australian outlets and all 10 New Zealand stores. The future seems even bleaker in the United States. Shoe store chain Payless went into bankruptcy in April. Department store Sears is closing 150 stores and conceded in March that there are growing concerns about the company’s ability to continue. And Macy’s—an icon of the industry—is shutting down 68 stores (with more to come) because of slowing sales and declining mall traffic. On the surface, J.C. Penney appears to be in the same boat. The Plano, Texas, USA-based retail chain announced in February it plans to close 138 stores. On that same day, the company lowered sales estimates after missing revenue targets. But it does not plan to go out without a fight. 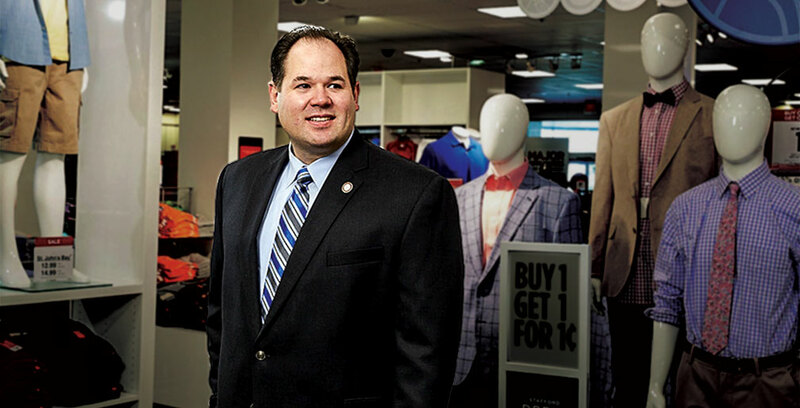 In spite of the current turmoil, leaders at the 115-year-old organization are optimistic about its future, says Mike Amend, J.C. Penney’s executive vice president of omnichannel. Led by a team that includes a trio of executives who helped rejuvenate the Home Depot brand a decade ago—among them Mr. Amend and CEO Marvin Ellison—J.C. 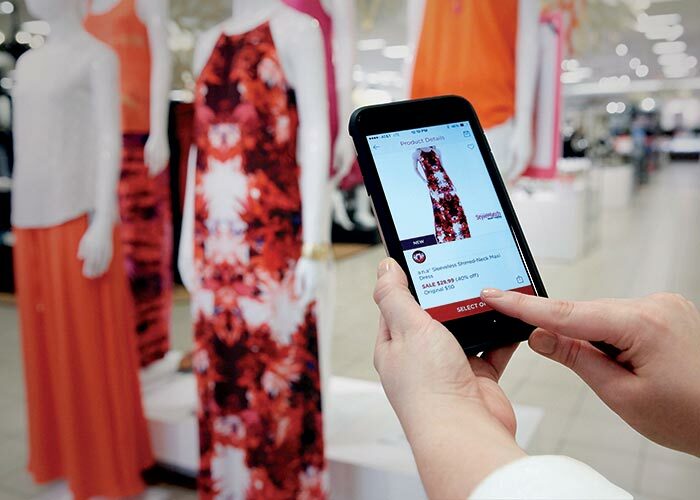 Penney’s strategic transformation centers on integrating better data and analytics into the decision-making process and giving customers the omnichannel shopping experience they crave. That is why, when Mr. Ellison joined as CEO, he and the rest of the executive team, including Mr. Amend, laid out several steps to initiate change. First, they began to gather customer feedback and relevant data. “Using analytics to mine information and provide insights to the organization makes it crystal clear what our opportunities are,” Mr. Amend says. Sources can be anything from customer satisfaction surveys and market research to website analytics, external studies and interactions on social media. Next, every idea is tested. When new ideas make it out of the brainstorm round, they are piloted and refined via small field tests. If results are promising, leaders waste no time in expanding an initiative’s scope. One example was J.C. Penney’s decision last year to add appliances to 500 of its stores. The idea began incubating when webmasters noticed that a growing number of visitors to the store’s website were searching for appliance-related terms. After validating the trend via customer feedback, research and housing market trends, it was time to test a new approach. 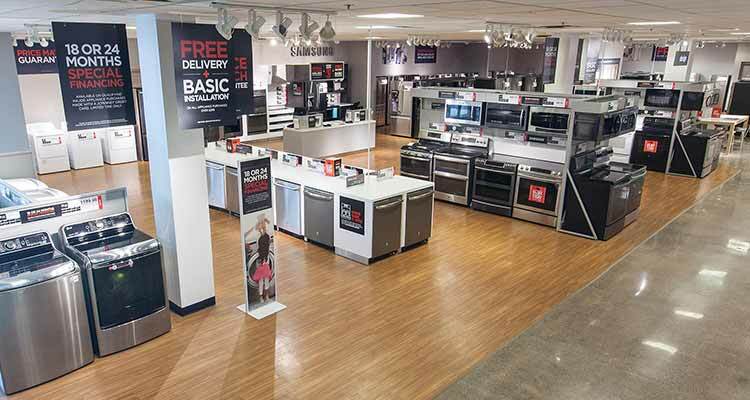 J.C. Penney launched appliance showrooms in 22 stores in February 2016. Following the pilot program, the company rolled out 1,200 major appliance products on its website, and later that summer—over the course of just eight weeks—it added nearly 500 appliance showrooms to existing stores. To foster that alignment, the J.C. Penney leadership team spends time together on a regular basis. They meet every Monday morning to review ongoing projects and again for breakfast on Friday to brainstorm. There are also quarterly off-sites devoted to long-term planning. This creates a culture of “teamwork, alignment and trust, all of which are key to accomplish and drive execution,” Mr. Amend says. Overlaying this data-driven decision-making is an omnichannel strategy the company hopes will all but erase the distinction between the channels shoppers use to buy, pick up and return items, Mr. Amend says. Of course, omnichannel is the mantra du jour for beleaguered brick-and-mortar retailers, but few have cracked the code. J.C. Penney believes it is one of those few. Over the past year, the company has updated its website, increased its online assortment by 40 percent and launched a streamlined mobile app. The app has earned strong reviews in both the Apple and Google app stores, helping fuel a 20 percent jump in conversion rates. The trick, Mr. Amend says, was to simplify the app and get people to their destination quickly. “Our research showed that customers wanted quick access to coupons, good search and products that were easy to find,” he says. Over half of the company’s online traffic now originates on a mobile device. But that does not mean J.C. Penney is planning to take on Amazon. On the contrary, an essential element of its omnichannel strategy is to drive store visits, where associates can greet customers in person and steer them toward additional purchases, Mr. Amend says. So Mr. 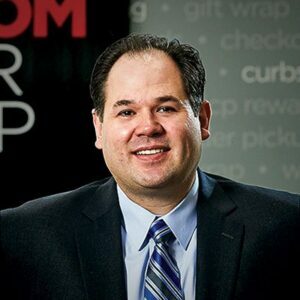 Amend and his team worked to perfect J.C. Penney’s same-day “buy online, pick up in store” initiative in tandem with their efforts to overhaul the chain’s website and app. Merging physical and virtual operations to enable same-day in-store pickup of online orders started with overhauling the company’s inventory system. “You have to connect digital to traditional physical systems, and that requires all of your digital systems to be inventory-aware,” Mr. Amend says. Then there are the fine points of operations the team had to consider and test: Where should pickup centers be located, and how can we point customers to them? What questions will customers ask, and how should associates answer them? Thousands of associates had to be trained to use a mobile device to check out customers making pickups. “This is a complex undertaking with lots of moving parts,” Mr. Amend says. All 1,000-plus stores were outfitted for same-day fulfillment during a whirlwind six-month deployment. But Mr. Amend’s omnichannel strategy would not be complete if the in-store experience failed to delight customers and drive additional purchases. He says J.C. Penney has to differentiate itself by offering unique products and experiences. One way the store has done this is by bringing various services together under one roof—whether a haircut from a J.C. Penney salon, a makeup trial from Sephora or a family portrait from the retailer’s portrait studio—that simply cannot be done online. Another way he says brick-and-mortar retailers can compete with online pure players is through “retailtainment” experiences. During the 2015 holiday season, for instance, J.C. Penney offered a virtual reality experience in a handful of mall-based stores. Last spring, it partnered with Pinterest to bring virtual pinboards to life in select mall locations and hosted live fashion, hair and makeup demonstrations from local bloggers and “pinfluencers.” The organization is also doubling down on its profit-rich store brands and alliances with big-name suppliers. Over half of J.C. Penney’s merchandise sales come from its private and exclusive brands, including its Stafford suits and St. John’s Bay casualwear, and it is on track to increase that portion to 70 percent. Meanwhile, partnerships with big-name brands like Levi’s, Nike and Sephora are bringing mini shops with major profit potential under the J.C. Penney umbrella. The company is also working to become a leader in special sizes, such as “big and tall” men’s apparel, serving an audience that Mr. Amend believes has been almost completely ignored by conventional retailers. So far, Mr. Amend’s omnichannel strategy is working. Customers now pick up over 40 percent of their online orders in a store, and 30 percent of those customers spend an average of $50 on additional purchases once they arrive. When they need to return an item, more than 90 percent visit a retail outlet to do it. And about 70 percent of customers who buy in a store use the website to research their purchase first. Despite these successes, victory is far from certain. J.C. Penney still has to complete the painful process of shedding money-losing properties and convincing Wall Street skeptics that it is back on track. It is also still recovering from the brief but disastrous tenure of former CEO Ron Johnson, whose multiple missteps during a 17-month term that ended in 2013 nearly forced the company into bankruptcy. J.C. Penney’s stock has also fallen a dizzying 93 percent since its 2007 high. It rallied in the middle of 2016 in response to an aggressive sales growth forecast, but it dropped again after the company’s performance came up short. Regardless, Mr. Amend believes the company’s turnaround strategy is fundamentally sound. retailers to launch a full-function e-commerce site.